ARVD is a caused by a genetic defect of the heart that is one of the leading causes of death in young athletes. It is seen predominantly in males, and 30-50 percent of cases have a familial distribution. It is unclear why only the right ventricle is involved. The symptoms of ARVD are usually a result of an arrhythmia and symptoms are usually exercise-related. When you feel your heart speed up or slow down or feel it pounding, it is called palpitation. Palpitations are a normal response to fright or exertion but can, in other circumstances, be abnormal. If the change in rhythm makes it difficult for the heart to pump blood, other symptoms can occur, such as lightheadedness and fainting. ARVD is a caused by a genetic defect of the heart that is one of the leading causes of death in young athletes. ARVC/D is an important cause of ventricular arrhythmias in children and young adults. It is seen predominantly in males, and 30%-50% of cases have a familial distribution. It is unclear why only the right ventricle is involved. Arrhythmogenic means “causing an arrhythmia.” The right ventricle is the chamber of the heart that is affected and dysplasia means there is an abnormality of the structure. At rest, the heart normally beats with a regular rhythm at 60 to 100 beats per minute. Tachycardia is when the heart beats too fast and bradycardia is when the heart beats too slowly. The arrhythmia can be described further by indicating what part of the heart is starting the abnormal rhythm. If the arrhythmia is coming from the ventricle, it is called a ventricular arrhythmia. There is a lot of evidence that ARVD is a genetic, hereditary condition where an affected person has a chance of passing on a specific gene change to his or her children. 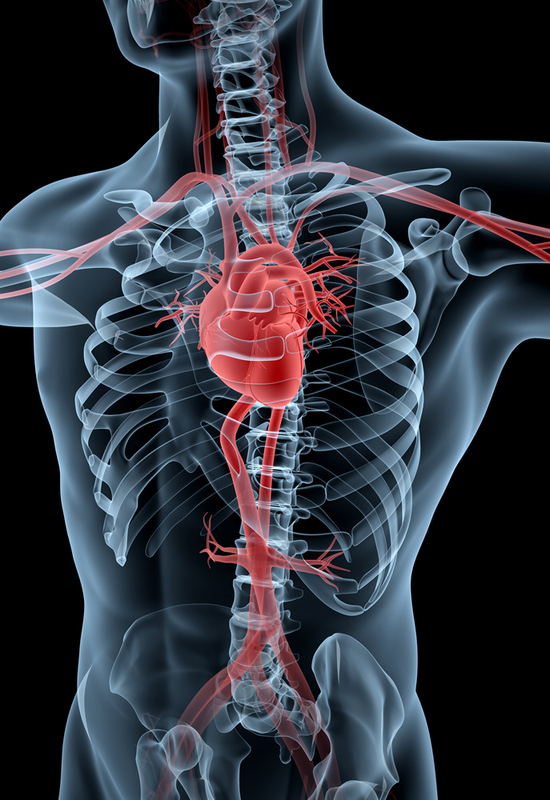 There is also some evidence that ARVD could result from an infection of the heart muscle. One or both theories could be correct. For instance, an infection in someone with a certain genetic make-up could cause ARVD. What you see in almost all these cases is low magnesium. When the magnesium level is low, the glutamate receptors become hypersensitive, and so people — athletes in particular, if they are not supplementing with magnesium — are prone to sudden cardiac death, because of the glutamate receptors. If they eat a meal or something that contains glutamate or drink a diet cola before practice, it will produce such intense cardiac irritability, they’ll die of sudden cardiac death. We know the sudden cardiac death is due to two things: Most commonly arrhythmia and cardio artery spasm. Both of which can be produced by glutamate. Treatment focuses on controlling the arrhythmias and in managing any signs or symptoms of heart failure. Most people with ARVD take medications called antiarrhythmic agents which can help lessen the frequency and severity of arrhythmias. A common treatment for ARVD is the implantation of an implantable cardioverter defibrillator (ICD). This device monitors the heart’s rhythm and delivers an electrical shock to the heart to return it to the normal rhythm if necessary. Sometimes an electrophysiology study (EP study) can determine which areas of the heart are causing the abnormal rhythm, and these areas can be eliminated (ablated). However, because ARVD is a progressive disease, the arrhythmias are not permanently cured by this procedure. The largest and longest study to date, done as part of the Harvard-based Nurses’ Health Study and Health Professionals Follow-up Study, included almost 110,000 men and women whose health and dietary habits were followed for 14 years. The higher the average daily intake of vegetables and fruits, the lower the chances of developing cardiovascular disease. Compared with those in the lowest category of fruit and vegetable intake (less than 1.5 servings a day), those who averaged eight or more servings a day were 30 percent less likely to have had a heart attack or stroke. Since exercise has to be monitored carefully, the diet should fit the state of activity. Adequate protein with each meal is important, with healthy fat, good sources of choline and carbohydrates in the form of fruits and lots of vegetables. Hydration is extremely important. 1. Magnesium Citratamate by Thorne Research: Proper amounts of magnesium are crucial for heart function while preventing glutamate/calcium excitation. 2. Zinc Picolinate by Thorne Research: Zinc is needed to prevent high copper levels and raise GABA, which prevents high glutamate. 3. Vitamin C with Flavonoids by Thorne Research: Vitamin C is required for proper GABA production, preventing high glutamate. 4. Heed by Hammer Nutrition: Helps maintain an electrolyte balance and prevent dehydration so the heart doesn’t strain. “Interview with Dr. Russell Blaylock on Devastating Health Effects of MSG, Aspartame and Excitotoxins.” Independent News on Natural Health, Nutrition and More. Web. 13 May 2011. <http://www.naturalnews.com/020550.html>.